Cruisecraft boasts of three magnificent vessels on the shimmering waters of the serene Mandovi river, offering cruises to accommodate groups ranging from 50 to 400 persons. 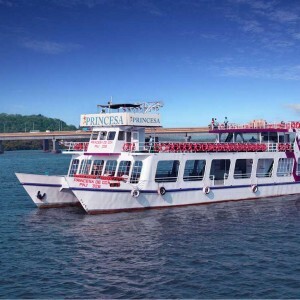 Princesa and Royal Cruises, the most celebrated cruise boats, are renowned for being Goa’s first floating restaurants. While the Arabian beauty on Goan waters, the luxury dhow, Rose Royal is a sight to behold. Be it a business conference, sales meet, product launch or a themed party, wedding reception, birthday, anniversary, or just an evening cruise with spectacular views, hop on aboard with us & celebrate! We provide services beyond expectations with every little detail being taken care of to ensure that your celebration is just what it should be… beautiful, enthralling and simply unforgettable. As swift as she is big, the newest vessel of the Cruisecraft fleet holds quite a presence. 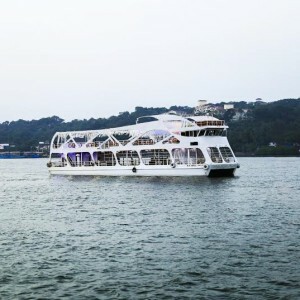 Being one of the largest cruise boats on the river Mandovi, she has held car launches, gatherings & parties on her decks. 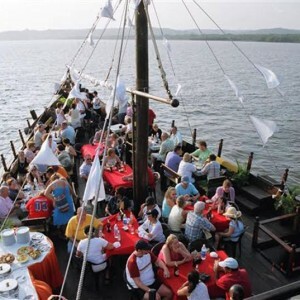 A quaint sight on the river Mandovi, a rosewood crafted Arabian dhow is the perfect vessel for you, be it a family get-together, an anniversary party or a corporate dinner. viagra pas cher From themed parties to corporate dinners, the very first vessel of the Cruisecraft fleet has had many an event on her decks. With a mid-range capacity, she is the perfect choice for an evening cruise on the river. © Copyright 2015 Crosscraft Pvt. Ltd. ®. All rights reserved.